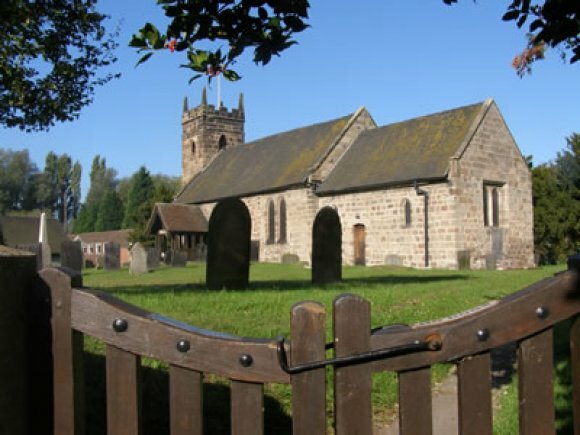 The Parish Church of St Michael (Grade 2 Listed) is on the corner of Hall Lane and Repton Road. Its origins are obscure, there is no mention of a church in the Domesday Book entry for the village but William the Conqueror bestowed the manor and church over to the Abbey of Burton, confirmed in 1185AD by the Pope Lucias III. It is clear that only fragments of the present church date from that time, including the tympanum above the doorway on the south side. In 1824 it was still a simple building, the nave being 42 feet long by 15 feet wide and the chancel 23 feet by 12 feet six inches. There are three bells in the tower but these are not now used. One carries the inscription 'T Mears, of London, fecit 1827'.The organ, which was restored in 1999, was installed in 1924. 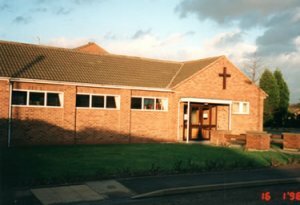 A story is told that prior to the building of the Baptist church on Twyford Road, their baptisms took place at the Ford on the River Trent, off Ford Lane, but this has not been confirmed. However the 'new' Baptist Chapel on Twyford road was certainly built in 1858. A commemorative plaque high in the wall, on the south side celebrated its opening. In the 1880's the Baptists had to use the station waiting room for meetings on Sundays, because the Chapel was full with Sunday School children. A small room at the rear of the Chapel was also used as a school room toward the end of the 19th century. In 1965 Mrs Mary Griffin, a chapel member, had the two terraced cottages (23-25 Twyford Road) she owned condemned, they only had single walls and no toilets. She bequeathed the land they stood on to the chapel with the idea that one day there would be a new free church built there. 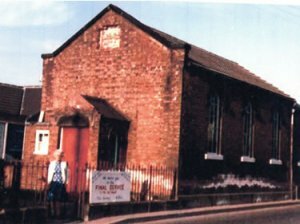 The Old Chapel was eventually demolished and replaced by a modern brick building, the first service there being on May 22nd 1983. The original 1858 date plaque from the Old Chapel was built into the west wall of the new building. The new Chapel , which opened in 1983. The Methodist's Chapel, on Repton Road, was opened in 1835 (Glover) and closed almost 150 years later in 1974 . Shortly afterwards it was converted into a private house.